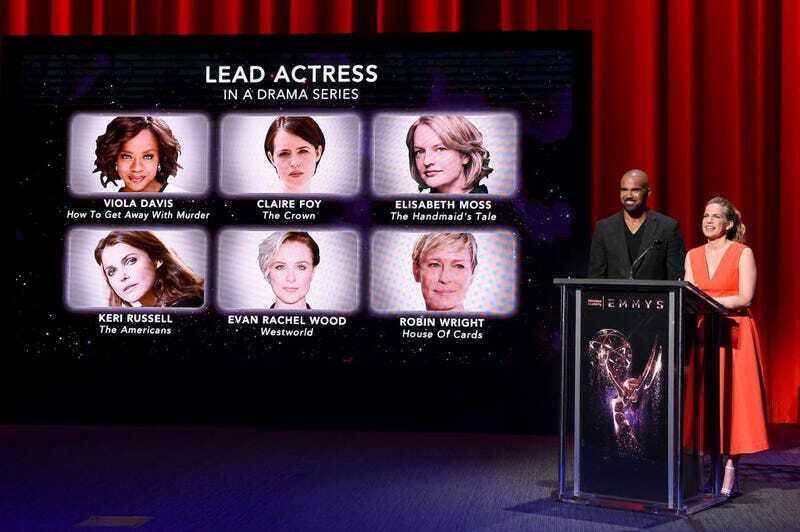 Shemar Moore and Anna Chlumsky announced the 69th annual Primetime Emmy Awards Thursday morning from the Wolf Theatre in the Saban Media Center in North Hollywood, Calif., and some of our faves made the cut. The complete list of nominees is here (pdf). The 69th Primetime Emmy Awards will air Sunday, Sept. 17, with Stephen Colbert as the host.